Fr Mike Sheffield on Express FM Radio, 24 January 2016, talking about St George’s Waterlooville and his faith. Harvest Thanksgiving Service broadcast to the World! 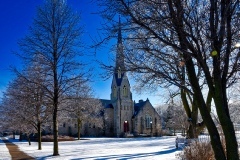 This is St George’s Church, Ontario, Canada. They are one of the many St George’s Churches from all around the World that joined us online for the live broadcast of our 10am Harvest Thanksgiving service on October 2nd. This is the Englische Kirche zu St. George Berlin, Germany. The original building was erected on Monbijou Park in 1885, but was destroyed in the allied Bombing of Berlin in World War II. The site happened to be in what had become the Soviet sector of Berlin in 1945 and was therefore abandoned and the ruins removed in 1949. In 1950 the congregation built a new church on the corner of Preußenallee and Badenallee in Neu-Westend, part of the Westend locality of Berlin in the British sector. 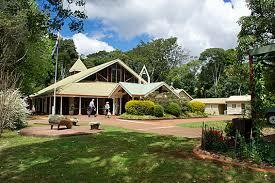 The church served as the garrison church of the British Army during the Allied occupation. After the war the congregation developed not only for Britons but also for American, German, Indian, Chinese, Finnish and Russian Christians. 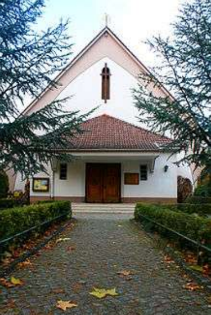 Since the British forces withdrew from Berlin in 1994, civilians have used the church. Oh, one more thing. 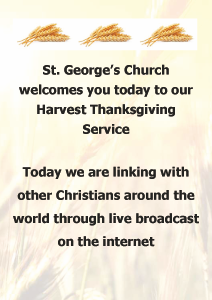 They, along with many other St George’s churches around the world, joined us for our live Harvest Thanksgiving service broadcast at 10am on October 2nd. The lovely looking church to the left is St George’s Church in Owen’s Point, Canada. 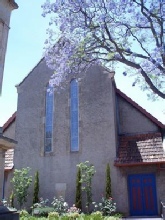 It is just one of many St George’s Churches worldwide (from Sydney to Singapore) who accepted an invitation to join us online to watch the live broadcast of our 10am Harvest Thanksgiving service on Sunday 2nd October. 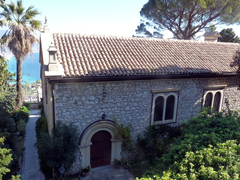 Pictured to the left is St George’s Church in Taormina, Sicily. They are not lucky like us to look out to an Asda store but instead have to suffer the view of the Ionian Sea. The congregation took a break from that view to look at their computers and join us on 2nd October for our 10am Harvest Thanksgiving Service. 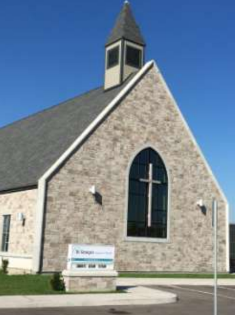 This is St. George's Church in Valley Lee, Maryland, USA (in the Diocese of Washington). The church dates back to 1692. 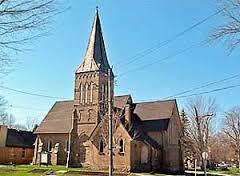 There was a house of worship some 50 feet north of the present church as early as 1638 and as late as 1642. The colony was founded in 1634 in St. Mary's City by St. Mary's River, an outlet of the Potomac. And on October 2nd 2016 the church added to their history by joining us live online for our 10am ChurchLive Harvest Thanksgiving Service broadcast. 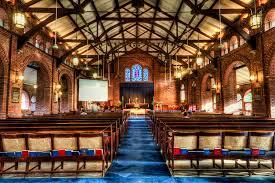 This is St George’s Church in Queenscliff, Australia. Queenscliff is a small town on the Bellarine Peninsula in southern Victoria, south of Swan Bay at the entrance to Port Phillip. 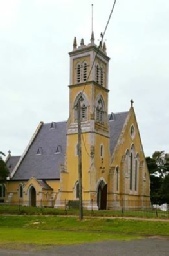 The church was designed and constructed by Albert Purchase in the style of early English Gothic architecture and opened for worship in February 1864. The castellated bell tower was added in 1878. The church, along with many others, accepted our invitation to join us online on Sunday, October 2nd at 10am for our Harvest Thanksgiving service. Click on the “Harvest Festival Service Sheet” to download it. You can then print it out. This contains the complete order of service and hymns and will enable you to participate to the full. ON SUNDAY 2 OCTOBER 2016 at 10am BST the Harvest Thanksgiving service was broadcast LIVE on CHURCHLIVE to an audience of well over 1,000, and to over 100 churches dedicated to St George throughout the world. You can view a recording of the broadcast below. Download the service sheet so that you can follow and participate in the service.